The tricks for onboard comfort and convenience keep coming in this sequel to a story from four years ago. Simple, practical and affordable. I’m like most boaters. I always find little annoyances aboard or things that seem like they could be rigged or done better. Truthfully, with a little effort and ingenuity, and very little money, they often can be. Whether for keeping my boats cleaner or making them more convenient to use or having parts when I need them, I’ve employed many tips and tricks that may be useful to you. 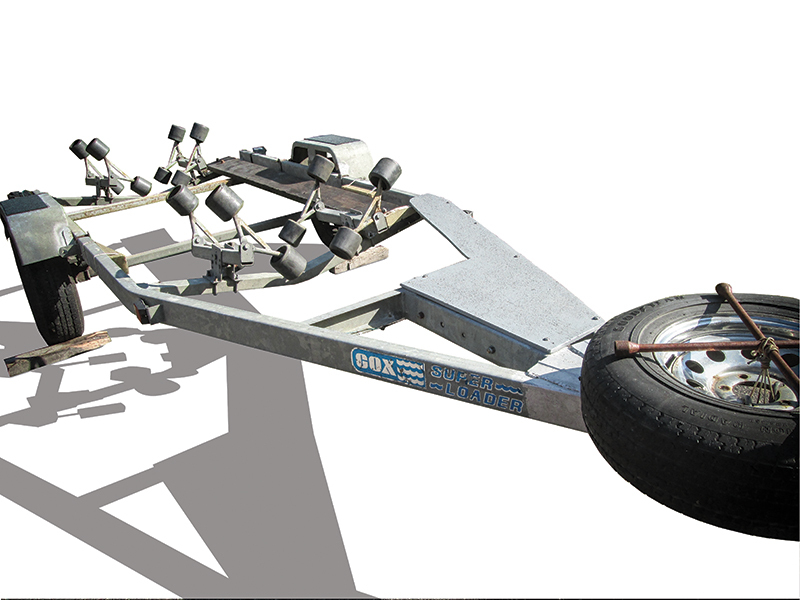 Most trailerboaters who climb into a boat when it’s on the trailer do so by stepping on the fender and swinging their leg over the gunwale and into the boat. As often as not, their feet have dirt on them, and that dirt gets deposited on the floor of the boat, often after they just vacuumed it, and always in the same place. Avoid the last event in that series by gluing carpet to the top of the fenders. With some indoor/outdoor carpet, some Gorilla glue and some weights to hold the carpet down while the glue dries, passengers have a place to wipe their feet. And the mats are self-cleaning during launch and retrieval. Passengers climbing into the boat as described in the previous section usually have no grabrail to aid them, and as often as not, they’re carrying something in one hand, which complicates the procedure. And if their hands are wet or slippery, that complicates things even further. Improve the gunwale’s grip factor by installing a strip of nonskid tape on the inside of it, where a boarder’s hands go. The difference it makes is amazing. When it comes time to replace it, a hairdryer or heat gun makes short work of removing the existing piece. Heat, peel, replace and enjoy more easy access. 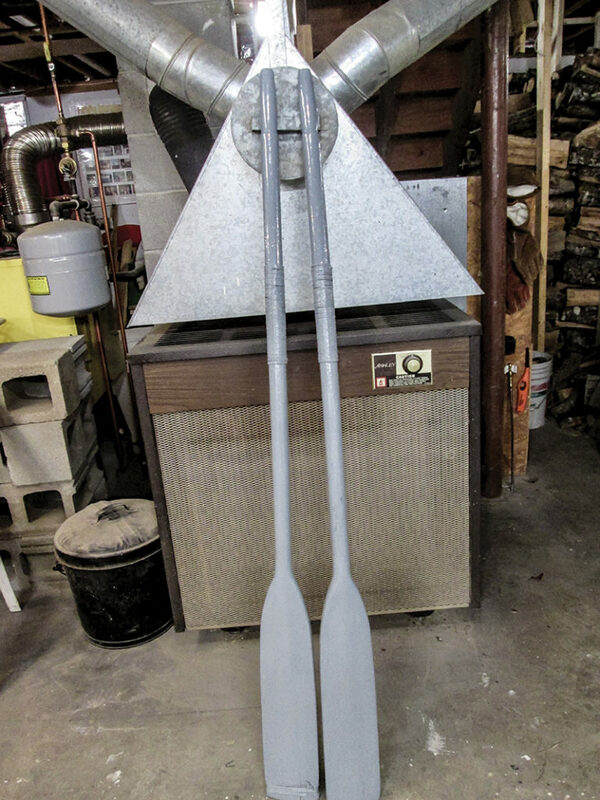 If you have oars, perhaps for a skiff or as backup propulsion for the “big boat,” you know they get scuffed where they rub against the oarlocks. It’s unsightly, and over time the wood wears away. Avoid the wearing-away part by seizing the oar with twine where it contacts the oarlock. Nylon heading twine — available where commercial fishing gear is sold — works well for such a job. It’s a little stretchy, so you can wind it on good and tight, and it shrinks a little with time and when it gets wet, which makes it even tighter. You can paint or poly over it, or paint/ poly the oar first and leave the twine untreated, depending on the desired look. When the twine gets thin, replace it. Here’s a bonus tip that’s not limited to boating. Whenever I’m looking for a combination wrench in my toolbox, it’s always buried among the other tools, and it’s a pain to dig it out (especially a small one). I should have written “Whenever I used to look…” Stop playing hide-and-seek with wrenches by tying them together with a loop of twine. The wrenches are all together, in one place, and are easy to see and grab. Use the largest-diameter twine that will fit the smallest wrench, for ease of untying. If the wrench task is simple and there’s room, you don’t even have to untie them. It’s a little more hassle to untie and tie them, but the time saved pulling the correct wrench out of the box more than makes up for it. 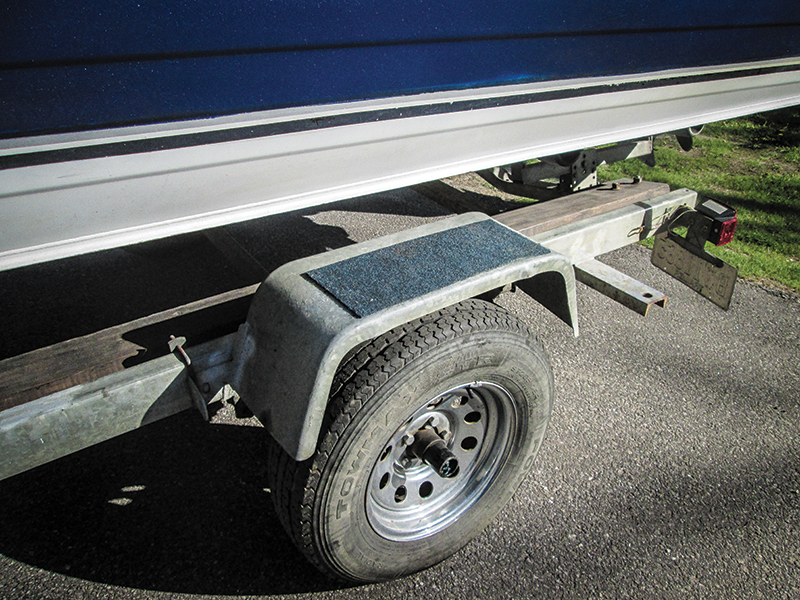 If you have to leave a trailer parked somewhere, disconnected from the tow vehicle, it’s good to use wheel chocks, which can be purchased or made out of wood for pennies. Stowing them so they’re not in the way can be challenging. 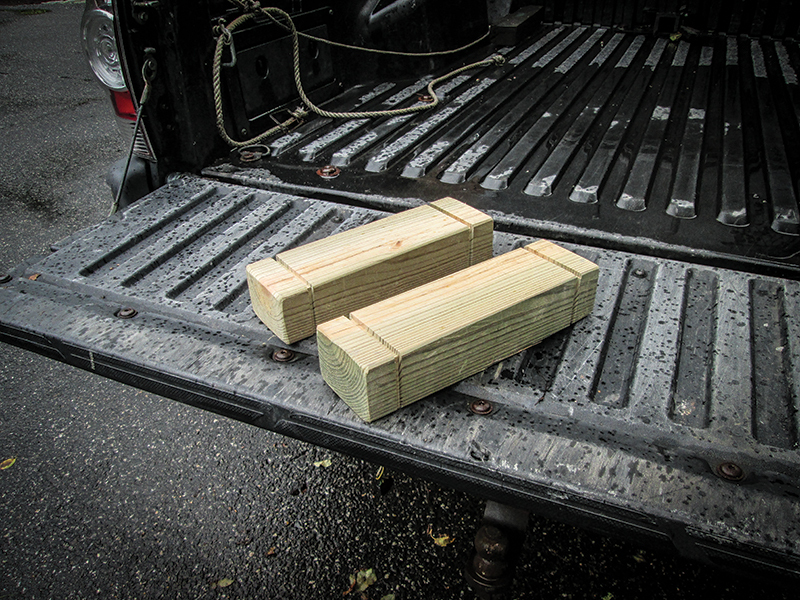 If your trailer has a hollow, open-top winch stanchion, make chocks that will fit inside the stanchion. Then connect them to each other with some twine and use finger holes and/or twine at the top to pull the chocks out of the stanchion. Size them small enough that they won’t get stuck in the stanchion if they get wet and swell, or tape the top of the stanchion so water can’t get in. Or do both. If your stanchion is not hollow or has a solid top, make some chocks that tie to the frame rails. Cut slots in them and tie them onto the frame rail with twine. Tie them good and tight and forget about them. Wire ties work too, but I have found I can crank the twine tighter, and I trust twine more for an application like this. When I need them, they’re right there. When I went to haul my boat out one day last summer, my trailer was missing a roller. WTH? It was there when I launched, so it must have come off during the launch. I looked all around the ramp and couldn’t find it. Putting the boat on the trailer without the roller was going to damage the boat, so I wrapped a rag around the end of the roller axle and secured it with some twine. When I got home I ordered some replacement rollers and replaced the ones that were getting funky. Now I carry a spare and some clinch rings to secure it to the axle. 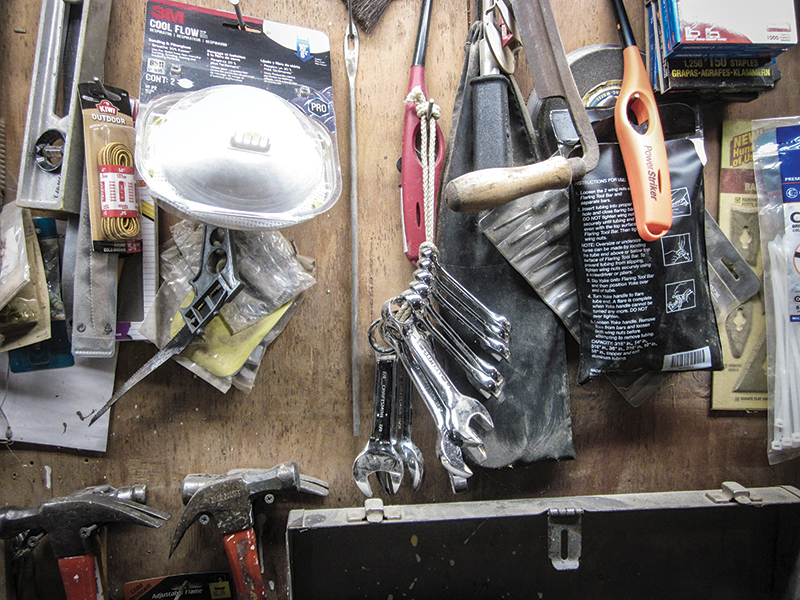 (Everyone should carry a well-stocked tool kit aboard.) My hope is that the Umbrella Theory — if you bring it, you won’t need it — will keep the rollers where they belong, but if not, I’m ready. Sometimes, during a boat retrieval, you can drive the boat onto the trailer and right up to the bow chock. Other times, not so much, and you’ll need to get the cable/strap hook onto the boweye — and there’s water between you and the boat. If you’re trying to keep your pants dry, you creep down the frame rail, hoping to maintain balance. Take a lot of the worry out of that task by installing a walk plank along the rail. I made mine from five-eighths-inch plywood. I painted it — I put some nonskid grit in the paint — screwed it to the frame and added some blocking at the aft end to support it. It makes a solid, nonskid, worry-free surface I use to get down to the boweye and back. There are two kinds of boaters who wear a hat while underway: those whose hat has blown off their head and those whose hat will. A hat lanyard — a strap with clips on both ends that clip a hat to a shirt — keeps the hat attached to the wearer if it does blow off. What if you’re shirtless but wearing a hat? For a few pennies I made my own hat lanyard out of a stainless alligator clip and a piece of shoelace. It clips to the back of my hat and lies around my neck like a necklace. If my hat blows off, no U turn or man-overboard drill is necessary. I used a brightly colored shoelace, so the thing is easy to find in the drawer it lives in. 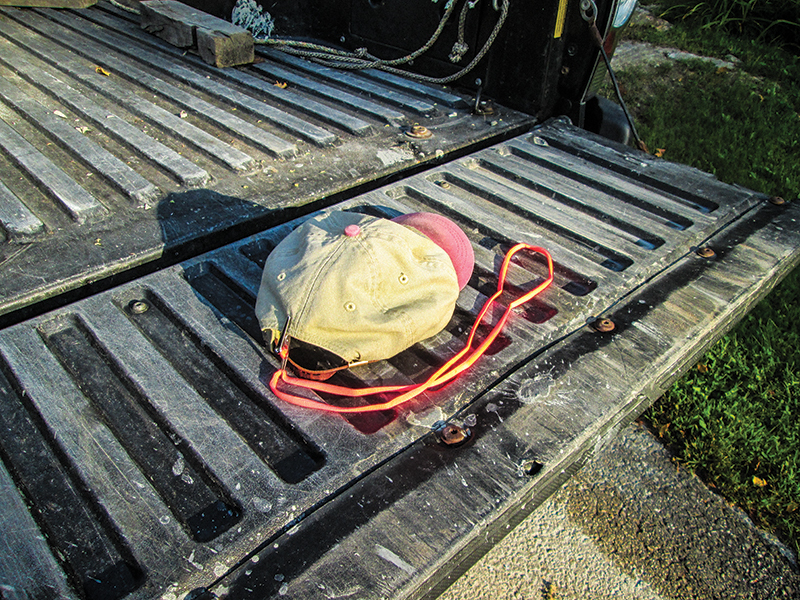 Clip plus shoelace equals a dry hat all day. Carry spares, because guests are going to want one when they see yours, and they make great gifts.